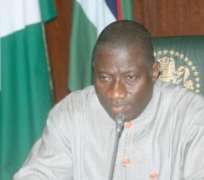 President Goodluck Jonathan will on Tuesday (today) present the 2014 budget to a joint sitting of the National Assembly . The budget presentation was put off last Tuesday for undisclosed reasons. He said:'It was supposed to happen today( Last Tuesday), but the President wrote to the National Assembly asking that the event be put off till Nov. 19 due to exigencies that were beyond the control of the Presidency. 'The reasons were not made known, but if the President asks us to give him one more week I don't think there is any reason for us to start looking for the `whys'. Jonathan is expected to propose a budget that would largely involve cost cuttings and emphasise projects completion. 2014 budget will test the president's ability to effectively ride the demand pull and the supply push in a face of declining oil revenues. This being the president's last full budget before the 2015 elections is expected to address issues that will be pleasing to the citizens.